The Republican Party of Arkansas presented keynote Speaker Sarah Palin with an engraved Henry Repeating Arms Big Boy 44 Magnum rifle last night at their fundraising event at the Verizon Arena in Little Rock. 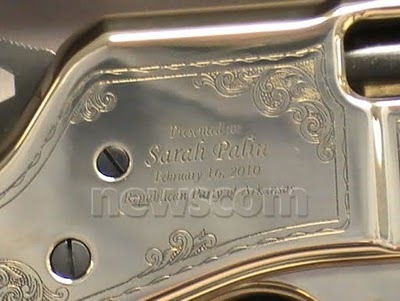 The rifle was personalized with serial number PALIN-001, the brass receiver was inscribed with ‘Presented to Sarah Palin – February 16, 2010 -Republican Party of Arkansas’ and the Republican Party of Arkansas’ logo was carved into the buttstock. President Lincoln was presented with a Henry rifle during his presidency. It hangs in The Smithsonian and has become a priceless national treasure. Henry Repeating Arms is one of the country’s leading rifle manufacturers. Their legendary name dates back to 1860 when Benjamin Tyler Henry invented and patented the first practical repeating rifle during the Civil War. It became known as the “gun you could load on Sunday and shoot all week long.” Henry rifles went on to play a significant role in the frontier days of the American West and soon became one of the most legendary, respected and sought after rifles in the history of firearms. The company’s primary manufacturing facility is in Bayonne, New Jersey and they have a second facility in Rice Lake, Wisconsin. The man responsible for the donated rifle was a New Jerseyite, Anthony Imperato, president of Henry Repeating Arms Company in Bayonne (his family once operated an arms company in Jacksonville). He presented the one-of-a-kind gun to Palin in a backstage ceremony before her speech. There was at least one other gun in the building that night. On one of the silent-auction tables flanking the speaker’s dais, past a photo of Ronald Reagan and a photo of Palin framed together and titled “Voices of Conservatism,” was another Henry rifle. It was exactly like Palin’s but with its own distinct serial number: GOP-001. Between the two of them, they went on to link Palin to Abraham Lincoln, “who was a Republican” and who also owned a Henry rifle (serial number 006). GretaWire: Is Sarah Palin or Sally Quinn “putting family first”? In July, Sally Quinn, columnist in the Washington Post, defended David Letterman for his comments about Governor Sarah Palin and her daughter. In doing so, she criticized Governor Palin. My “favorite” of her criticisms ? It is in bold blue text below. Read below and then you decide who is putting family first – the mother defending her child from the comments of a talk show host who coincidentally cheats on his wife? or the wife who conveniently schedules a wedding so that her husband can’t attend the wedding of a grandchild from a former marriage…and then writes a column to sugar coat it when it hits the gossip circuit in DC. Here are Sally Quinn’s comments about Gov Palin…followed by a link to her explanation. So how does Sally Quinn compare to Sarah Palin? She has scheduled her son’s wedding on the same day as her husband’s grandchild from a previous marriage so now her husband must pick: his son or his granddaughter from previous marriage. Family first? or some deep seeded problem? PS – you may notice the reference Sally Quinn made on MS/NBC about Governor Palin’s then “pregnant daughter” which seemed a bit of a slap at the family situation. In Quinn’s article, she reports her news about her son’s pregnant girlfriend and her reaction is that she is thrilled. I am sure she is thrilled – but was she being nasty about the Palin situation or not? We report, you decide. 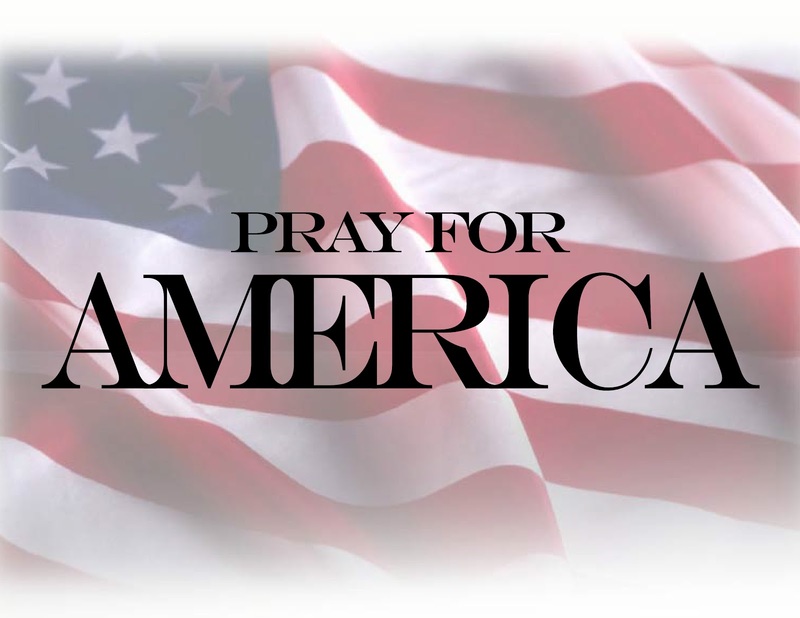 Visit this article on GretaWire by clicking here. I applaud Greta’s commitment to truth above all. She calls it like she sees it. Sally Quinn’s double standard is plain to see–so she gets called out. People suffering from Palin Derangement Syndrome face one major danger: in their commitment to undermining Governor Palin and calling her actions into question, they draw attention to their own actions–and often theirs doesn’t stand up to serious scrutiny. There’s a problem with wielding a double-edged sword: on the rebound, it usually comes back to smack you in the face. More and more people are catching on, even those who have professed no affinity for Governor Palin, like Jamie Weinstein. In “Palin vs. Edwards, a case study in media bias,” Weinstein highlights the double standard the governor has had to deal with since entering the national scene. He does so by contrasting the way the media has treated her with the treatment John Edwards received. He states that the bias needs to be acknowledged, but even that’s not enough. Following that acknowledgement, says Weinstein, it needs to be corrected. And no comparison best illustrates the double standard the media has with Palin than how they treated another former vice-presidential nominee, Sen. John Edwards. When in 2004 John Kerry picked Edwards, whose entire resume in public life at that point consisted of six years in the U.S. Senate, to be his vice-presidential nominee, few questioned whether Edwards was qualified for the post. Search “Edwards is unqualified” in Lexis-Nexis from the time Edwards was tapped by Kerry through Election Day 2004, and you get 11 results. Do the same for Palin and you get 174 results – and the search period is nearly two months shorter for Palin, because she was picked by McCain much later in the 2008 election cycle. We now definitively know just how much of a liar, cheat and phony John Edwards is. But if the media had been one half as interested in exposing Edwards as a fraud as they have been in excoriating Palin, perhaps it would not have taken the National Enquirer to discover the truth that has led to the downfall of a politician who had a very real chance of becoming President. One of the media’s favorite attacks against Palin revolves around her failure to tell Katie Couric what magazines and newspapers she regularly reads. The clumsy answer was an early flash point that led many to scoff that the Alaskan governor didn’t read anything at all. Yet this impression of her husband as an anti-intellectual “hick,” as Elizabeth reportedly referred to him, never became a common undercurrent during his his 2004 campaign for vice president or his later run for President. So why did Palin get painted so quickly as a bombastic dunce and Edwards escape without such a negative characterization? It probably has to do with the fact that most members of the media bought Edwards persona. They liked his world-view. Given his latest shenanigans, it is now clear just how terrible a pick Edwards was. Yet there is little question that the mainstream media had been far more critical of Palin than Edwards when the two were picked to run for the same post, albeit in different election cycles.Thats a bias that needs to be acknowleged, then corrected.